Professor Kawai Masatomo, Director of Chiba City Museum of Art and Professor Emeritus of Keio University, has been a trustee of the Sainsbury Institute for the Study of Japanese Arts and Cultures since its establishment in 1999. 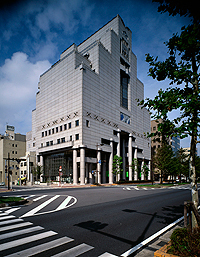 His many contributions to the Institute’s success include facilitating the donation of the Matsushita Collection to the Lisa Sainsbury Library. This collection of more than 15,000 volumes of key Japanese art history reference materials forms the foundation of the Library and helped to secure its future. Professor Kawai has been an instrumental figure in the development of the Institute, offering strategic advice and creating opportunities for high profile research in the area of Japanese visual culture. In this issue, Professor Kawai describes his directorial approach at Chiba City Museum of Art and outlines his future plans. The megalopolis of Tokyo naturally dominates Japan’s cultural scene, but there are many gems to be found further afield and prominent among them is the institution that I run, Chiba City Museum of Art. Situated a short distance east of Tokyo in Chiba prefecture,it was opened in 1996 as a municipal art museum and houses one of the most remarkable collections of Japanese art in the world. 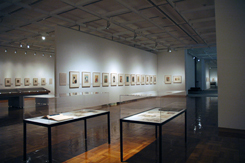 The museum’s collections are primarily of Japanese art from the Edo period (1615-1868) to the contemporary. We have one of the largest collections of works by Keisai Eisen (1791-1848), a celebrated ukiyo-e artist who specialised in images of beauties which were fervently collected by a local ukiyo-e enthusiast, Imanaka Hiroshi. Last year our Eisen material formed the nucleus of a special exhibition to mark his career, displaying over 300 woodblock prints by the artist. 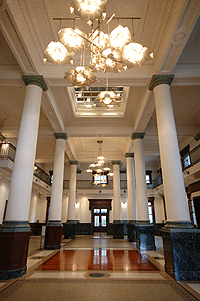 The Museum also holds works by internationally renowned modern Japanese artists such as Kusama Yayoi, Saito Yoshishige, and Sugimoto Hiroshi. The outstanding quality of the museum’s collections, combined with our popular exhibitions programme and active communications strategy, attract visitors from Chiba and beyond, including many from the wider Tokyo area. YouTube videos on our special exhibitions have proved to be an excellent way to reach the public and draw them to the museum. Interpretation and story telling are the essential underpinnings of our practice. We at the Museum believe that we need to do more than simply display world class art to convey its true appeal and interest; we must also construct a fascinating interpretative narrative to engage our visitors. Our first exhibition this year, Kimono Beauty – chic and modern clothing from Edo to Shōwa, exemplified this approach. Running from January to February, the exhibition displayed sumptuous sets of kimono associated with Edo (1615-1868) to Shōwa (1925-1989) eras and featured works from the William Bigelow (1850-1926) collection loaned by the Museum of Fine Arts in Boston. To construct the all-important narrative of each period, Edo and Meiji ukiyo-e prints, examples of Japanese design drawings and department store posters were used to illustrate the trends and tastes of the Taishō and Shōwa periods. This allowed visitors to explore the aesthetics of each era through the lens of the textiles and their associated design and marketing materials. 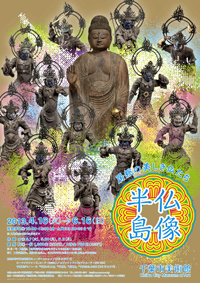 Our new exhibition, Peninsula of Images and Statues of Buddha: Beautiful Buddha in Bōsō, will run until 16 June. More than 100 exquisite statues and images from the Bōsō peninsula, where Chiba city is located, provide quantitative and qualitative testimony to the great fertility of this area as a production source of Buddhist imagery. The statues in the exhibition are showcased dynamically to reveal their true value as revered religious figures, rather than merely as static works of art. We want visitors to appreciate what they have meant historically to the pious people of Bōsō peninsula since the mid-seventh century. My intention as museum director is to illuminate the many facets of Japanese art. One plan is a possible exhibition on one of my own research interests and favourite artists, Kaihō Yūshō (1533-1615), a prolific painter who is known for his monochromatic ink paintings. Ink paintings are often regarded as belonging to the esoteric Zen religious tradition. However I believe that their appeal is based more on appreciation of the way that they model the three-dimensional world on a two-dimensional surface by relying simply on the value gradation of the ink. I also think that their reference to the historic relationship between literature and painting, as well as their illustration of the Japanese admiration for Chinese culture, contribute to their popularity. In the future I hope to curate an exhibition that explores ink paintings from these perspectives. The Chiba City Museum of Art offers an opportunity for those in search of new discoveries beyond the cultural comfort of Tokyo to experience outstanding collections and interesting exhibitions.